Although the Hamburg-based musical duo Fjarill have been together for 15 years, they remain difficult to pigeonhole. Pop music with lyrics in Swedish? World music from South Africa and Scandinavia? Vocal jazz? This gentle and powerful sound that comes from such a specific and unique place constantly simply seems to defy categorisation. But butterflies shouldn’t be pigeonholed! Fjarill’s achievements are considerable – six albums, World-Music awards and hundreds of concerts right across Europe. A seventh album is now scheduled for release on their own label Butter & Fly Records on 6 April 2018. KOM HEM. A work which deals with the concept of home. 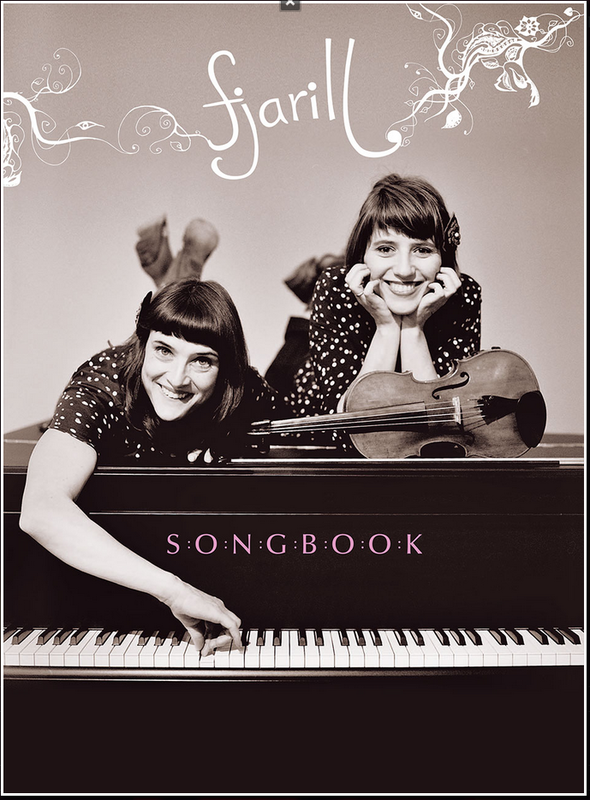 Aino Löwenmark (piano, vocals) and Hanmari Spiegel (violin, vocals) look back at how the album came about. Last summer found us in our home city of Hamburg. We were sitting in a Syrian restaurant in the “Schanzenviertel” a vibrant multicultural district at the very heart of all the action. An older Syrian lady was serving up fabulous halloumi, and Arabian music was coming out of the loudspeakers. We were speaking about our next album. We only had a very vague idea of where we were going with it. Only one song had been written. As is usually the case, inspiration had seemed to come from nowhere. The song was called “Stockholm” and was deep with a sense of yearning. A yearning for home. Home? Where is home? We looked around. We saw the Syrian lady with her halloumi cheese. Opposite is an Italian who makes the best coffee in the “Schanze”. Che Guevara and the badge of FC St. Pauli, Hamburg’s cult football club, had been sprayed on an exterior wall. We were right in the middle of it all. A Swede and a South African at the centre of their home district, and yet so far from their actual native lands. This is our home, our families and our children live here. Hamburg is our anchorage of choice, the safest harbour in the world ... and yet. Hanmari’s eyes light up when she speaks about Pretoria. The stories she tells are full of radiant colours. Yellow, brown and blue. There is plenty of warmth and comfort, but horrific poverty and misery too. A racial divide between those whose homeland has been taken away and those who have come to seek a new home. And new happiness. Plans have been in place for a long time to put on Fjarill concerts in South Africa. Swedish song lyrics in the southern hemisphere. A no-brainer! And we also wanted to perform with a local children’s choir. A great idea! We worked successfully with a Hamburg-based choir. Why not do the same in South Africa? will finally get underway at the end of February. Four concerts have been lined up in Johannesburg, Pretoria, Cape Town and Underberg. Two choirs are rehearsing our material as we speak. We’ll let you know how we get on! We’ve already done gigs in Sweden. It’s a great feeling to be able to bring these songs home. which have their origins in a different homeland and yet have so much of Sweden in them. They need to be taken to Sweden to unleash their full power. Or maybe the same effect can be created here in Germany, at the “Fabrik” cultural centre in Hamburg or at the Church of the Epiphany in Dresden with a few hundred audience members singing along at the top of their voices? We realised that in order to come home we needed to start by going away. Sometimes people remain in a foreign place and make it their new home. Sometimes you lose sight of your bearings. Fjarill nearly split up two years ago. We had lost our way. But Fjarill has also become a sort of home for us over the past 15 years, and that’s not something that you want to destroy. We summoned up courage and left the butterfly image behind. The music we make now is rougher at the edges, but we still like it best when we sing in two voices. We found more dissonances and even greater melancholy. The courage we showed has made us prepared to take risks. In 2016, we set up our own label, Butter & Fly Records. Yet another new home. But it lets us shape and reshape things exactly how we want. That’s a good feeling. We stayed in the restaurant for a few more hours, talking about home. Interestingly enough, Swedish and Afrikaans are very similar languages. This is something we have often noticed. What about making a whole album about “home”? What would we call it? “Come home” in Afrikaans is “kom huis toe”. In Swedish, the phrase “at home” simply translates as “hem”. The new album is called “Kom Hem”. The word “kom” also exists in both languages and means exactly the same. We found ourselves in a completely new situation. We had never approached songwriting with a view to recording a concept album. We had never imposed such strict rules on ourselves, and yet we had never enjoyed such freedoms. Everything relates to everything else. People, countries and things react to and influence each other. Each relationship has its own melody! This was, as they say, a cornucopia of opportunities. All we needed to do was listen to ourselves. Everything was already there inside us, ready to come out. We sit down at the piano, start to play, and then the mood creates a melody. That’s how our songs are born. Over the last few months, “Stockholm” has been joined by 10 further songs, all of which address the topic of “home” in every conceivable way. We have, of course, the title track “Kom Hem”, which basically encapsulates everything this CD is about. Coming home, finding a new home, getting your bearings, arriving, learning how to love. “Hypnos” is about the feeling of having the centre of your existence ripped away. This is mainly caused by people who are themselves confused whilst also being manipulative and laying claim to megalomaniac wisdoms. Those who succumb will be trapped in this dream until they fall. “Vingslag” presents the space of absolute tranquillity at the centre of a hurricane, where the wing beat of a butterfly can be heard. The song “Twister” describes mankind’s struggle for independence and freedom and people’s right to stand on their own two feet. “Karusell” is a song about life. Once you get on board and join the ride, you will meet yourself sooner or later. “Inkululeko – Freedom for Africa” is a hymn to freedom sung in Zulu, English and German. It is for Africa and for all the people of this earth. The chorus is sung by our close friend Stefan Stoppok. Without freedom there can be no home. When someone dies, he or she suddenly leaves an empty place. But people leave traces and memories everywhere, and they can live on if we feel that they are with us. This is exactly what “I can hear you” is all about. The song “Monster” describes the fear of something menacing which manifests itself on our doorstep and poses an external threat. It is, however, something which lives deep inside us. Solace then comes in the form of the next track, a gentle and calming lullaby entitled “Good Night”. At the end of the album, everything comes full circle with the song “Rasan”. This involves getting naked, letting all the masks drop, climbing into a boat and travelling out onto a vast and unknown sea. “Kom Hem” is an album into which we have put a lot of ourselves. It was produced and mixed at the Walden Studio in Hamburg by Aino’s husband Jürgen Spiegel, who is the drummer of the Tingvall Trio. Jürgen also plays all the drums and percussion instruments. Steffi Stephan, who also has a day job as musical director of Udo Lindenberg’s backing band “Panikorchester”, performs bass duties. Here and there, gentle guitar tones by Stefan Stoppok are also discernible. But the dominant features are always our vocals, the piano and the violin. Despite all the changes, we now see that we have ultimately remained true to ourselves. We are at home.